You know what they say. “If you don’t have a second football team you’re not a real fan”. Steve Evans is a divisive fellow to say the least, but if there’s one thing he produces it’s football teams capable of promotion. Having won the conference with Crawley Town in the 2010/11 season he can largely be credited with the club’s second successive hike. That’s despite fleeing for fellow League Two outfit Rotherham (see what we mean about divisive) towards the end of the following term, who got promoted themselves under his charge as League Two runners-up that season. Then, in his first full season in charge of the New York Stadium side last year, he won the League One playoffs thanks to a 4-3 penalty shootout win over Leyton Orient. 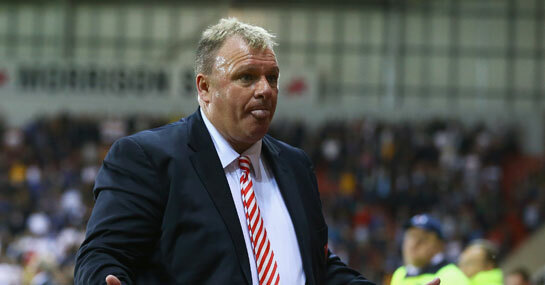 Rotherham are 14/1 to seal Premier League football for themselves this term. As one of the prime candidates for relegation the club’s board, acutely aware of the need for new blood, have sanctioned deals for a number of eye catching new recruits. Matt Derbyshire arrived from Nottingham Forest, Kirk Broadfoot from Blackpool and Febian Brandy from Sheffield United while Leeds’ Paul Green has also signed up. Add them to a squad along with seven other new recruits and it’s clear that Rotherham don’t want to just survive in the Championship, they want to mix it at the right end. The Naked Chef adopted the Millers as his second team during filming an episode of Ministry of Food, cooking up some tasty treats for fans outside the ground after the final whistle. The Chuckle Brothers, Howard Webb and Muse bassist Chris Wolstenholme may also be spotted among supporters at Rotherham games too. So what’s not to love?